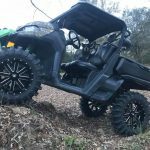 XM310 Extreme Mud Tire 33-9.5-18 Big Wheel Kit $1465.00 FREE SHIPPING! XM310 Extreme Mud Tire 35-9.5-18 Big Wheel Kit $1580.00 FREE SHIPPING!! XM310 Extreme Mud Tire 31-9.5-14 Big Wheel Kit $1110.00 FREE SHIPPING! 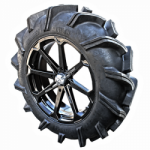 XM310 Extreme Mud Tire 29-9.5-14 Big Wheel Kit $1180.00 FREE SHIPPING! 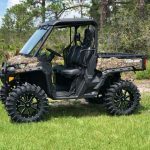 Tags: Best place to buy off road tires and wheels, Best price on ATV Tires and wheels, best price on dragon fire Tires, Best price on dragon fire Tires and wheels, best price on system 3 Tires, Best price on system 3 Tires and wheels, Best price on UTV Tires and wheels, Best price on XM310 Mud Tires and wheels, best price on XM310 Tires, Best prices on dragon fire Tires mounted on Fuel Off Wheels, Best prices on dragon fire Tires mounted on Fuel Wheels, Best Prices on Fuel Wheels, Best prices on XM310 Tires mounted on Fuel Off Road Wheels, Best prices on XM310 Tires mounted on Fuel Wheels, Dragon Fire System 3 Tires, Dragon Fire Tires, Dragon Fire Tires 35-9.5-18, Dragon Fire XM310 Extreme Mud Tire 35-9.5-18, System 3 tires, System 3 Tires 35-9.5-18, System 3 XM310, System 3 XM310 35, System 3 XM310 35-9.5-18, System 3 XM310 9.5-18, System 3 XM310 Extreme Mud Tire 35-9.5-18, System 3 XM310 Extreme Mud Tires, XM310 Extreme Mud Tire, XM310 Extreme Mud Tire 35, XM310 Extreme Mud Tire 35-9.5-18, XM310 Extreme Mud Tire 9.5-18, XM310 Extreme Mud Tires. Dragon Fire XM310 31-9.5-14 Tire/Wheel Packages – Free Shipping!